Keppel Infrastructure Trust (SGX:A7RU)'s 1Q19 DPU of 0.93Scts steady as expected. Acquisition of Australian chemical distributor Ixom completed in 1Q19, contributes to cash flows. Successful equity fund raising exercise demonstrates healthy investor demand for the Keppel Infrastructure Trust story. Fund raising done; maintain BUY. Keppel Infrastructure Trust (SGX:A7RU) maintained its record of steady DPU of 0.93 Scts in 1Q19, as expected, on the back of better than expected distributable cash flows for the quarter. More importantly, Keppel Infrastructure Trust completed the acquisition of Ixom and a successful equity fund raising (EFR) exercise which was well accepted by investors. The Ixom acquisition and subsequent success of EFR exercise is significant in securing long term visibility of distributions for Keppel Infrastructure Trust. Most of Keppel Infrastructure Trust’s assets derive revenue from availability-based payments, independent of actual offtake. Hence, cash flows are predictable and not significantly exposed to economic cycles. We believe Keppel Infrastructure Trust is sufficiently protected from troubles at Basslink, which is in the midst of arbitration proceedings against its counterparties related to the outage in 2016. We expect that even in the worst case scenario, Keppel Infrastructure Trust should not be liable to pay any damages as any claims against Basslink are ring-fenced at the Basslink level. The EFR exercise has strengthened Keppel Infrastructure Trust’s balance sheet and broadened investor base, and a successful integration of Ixom should lead to better investor perception and yield compression for the stock. Based on our DDM-based valuation methodology (cost of equity: 6.7%), we derive a valuation of S$0.58 per share. Keppel Infrastructure Trust is currently trading at a healthy yield of 7.75%. Keppel Infrastructure Trust declared DPU of 0.07Scts for the period 25 March 2019 to 31 March 2019, which when taken together with the stub distribution of 0.86Scts for the period 1 January 2019 to 25 March 2019, amounts to 0.93Scts for the full quarter, in line with previous quarters. The stub distribution of 0.86Scts was paid out on 5 April 2019 to existing shareholders before the Equity Fund Raising (EFR) exercise, which concluded recently. Group revenue was not comparable as the Ixom acquisition was completed on 19 February 2019, and hence Ixom contributed to revenues for about 1 month and 10 days, which amounted to around S$152.4m out of Group revenue of S$318.5m for 1Q19. Distributable cash flows for 1Q19 was better than expected at S$48.2m. Even if we strip out Ixom’s contribution of S$5.9m, distributable cash flows for the quarter would have been up 17% y-o-y and 25% q-o-q. This is due to strong contributions from City Gas as it benefited from adjustment of town gas tariffs in response to higher fuel prices after a couple of quarters of under-adjustment. This effect will smoothen out over time though. Ixom numbers in line with expectations. After adjusting for transaction costs, distributable cash flows from Ixom of S$5.9m for the approximate 1-month 10-day period under Keppel Infrastructure Trust in 1Q19 implies annualised distributable cash flows of about S$55m, which is in line with our estimates. As earnings and cash flows for Ixom are seasonally stronger in second half of the year, we can expect the annualised number to be closer to S$60m. This will form a strong support for Keppel Infrastructure Trust’s overall distributions. Equity fund raising exercise was a success for KIT. Keppel Infrastructure Trust recently completed its EFR exercise – to partially finance the acquisition of Ixom – by raising approximately S$500.8m via a Placement as well as a Preferential Offering. 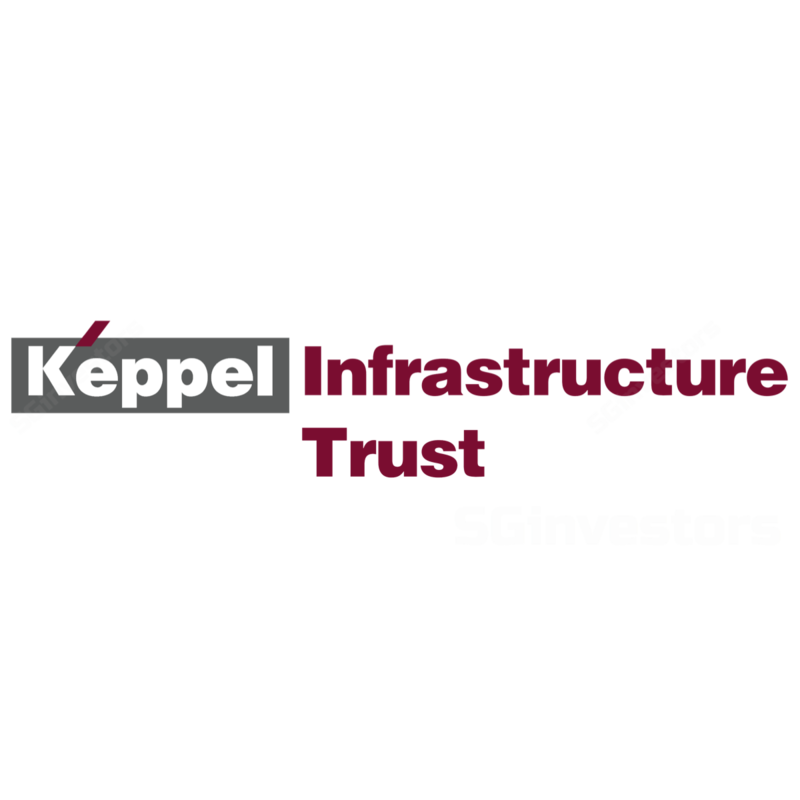 Earlier in March 2019, Keppel Infrastructure Trust raised gross proceeds of around S$300m under the Placement by issuing approximately 680.3m Placement Units at $0.441 per Placement Unit. The Preferential Offering was then made to Entitled Unitholders at the offering price of S$0.441 per Preferential Offering, which closed on 4 April 2019 and was more than 1.8 times oversubscribed. Approximately 455.3m Preferential Offering Units were issued, raising more than S$200m. This puts the Trust on a firm footing for the future. The proceeds from the EFR exercise will be used to partially repay a bridge loan facility drawn down to fund the acquisition of Ixom by Keppel Infrastructure Trust. The strong support from the investment community, allowing Keppel Infrastructure Trust to raise equity at a minimal discount to prevailing market prices, means that Keppel Infrastructure Trust will be able to digest the acquisition without affecting DPU (new shares issued accounted for less than 30% of existing base), and keeping leverage ratios (net debt/ asset) practically unchanged at around 40%. Given that Keppel Infrastructure Trust will now need to distribute an additional S$42.2m annually to meet its DPU target of 3.72Scts over an enhanced share base, we believe Keppel Infrastructure Trust will enjoy significant buffer in conserving cash flows for the future, given Ixom’s ability to generate around S$60m in distributable cash flows annually that we had earlier highlighted. Keppel Infrastructure Trust can use this buffer to smoothen future distributions once certain concession assets start expiring from 2024 onwards. The acquisition and subsequent success of EFR exercise is thus very significant in securing long term visibility of distributions for Keppel Infrastructure Trust. Basslink arbitration continues, timeline uncertain as of now. Basslink continues to maintain its position that the Basslink Interconnector failure, which led to a six-month outage in 2016, was a Force Majeure Event under the Basslink Operations Agreement and Basslink Service Agreement and strongly denies all allegations made by the State of Tasmania and Hydro Tasmania, who are its counterparties. Basslink is vigorously defending itself in the arbitration, through which it hopes to recover the withheld amounts from Hydro Tasmania. While management believes that proceedings could be completed by end-2019, we believe this could drag on for longer. We believe Keppel Infrastructure Trust is sufficiently protected from ongoing issues at Basslink. Even in the worst case scenario, Keppel Infrastructure Trust should not be liable to pay any damages as any claims against Basslink are ring-fenced at the Basslink level. In any case, Keppel Infrastructure Trust does not depend on cash flows from Basslink for current distributions, and project loans are also non-recourse to Keppel Infrastructure Trust. We ascribe zero value to Basslink in our valuations for Keppel Infrastructure Trust, hence any negative newsflow from Basslink is an irritant at best and does not affect Keppel Infrastructure Trust’s fundamentals. Maintain BUY with unchanged Target Price of S$0.58. We believe the Ixom deal is a step in the right direction by Keppel Infrastructure Trust’s management as it diversifies the asset base, stabilises NAV decline, lengthens the effective life of the Trust, and creates organic growth potential which was largely missing till now. However, our valuations remain unchanged as we factor in higher equity beta post transaction to reflect new asset type and additional borrowings, as well as factor in the dilution of the share base after equity fund raising. Dividend yield is currently around 7.75% after Keppel Infrastructure Trust's share price adjusted for the issuance of discounted new shares recently, but once the investor book stabilises, we believe there should be yield compression to 7% and beyond, given the lengthened life of portfolio post acquisition.